Barr leads HUNT’s mechanical, electrical, and plumbing group – one of the full-service firm’s mainstay disciplines. He joined HUNT in 1996, and advanced quickly in both technical and corporate leadership roles. He became an owner in 2006, was added to the board of directors in 2010, and has marketed and served as principle in charge for many of HUNT’s K12 projects. Rathbun manages HUNT’s Towanda office. He joined HUNT in 2000, became a principal in 2007, was voted to the board in 2014, and has served as corporate secretary since 2015. 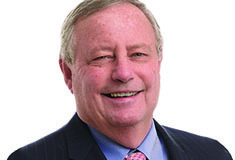 Steed leads the municipal group, covering water and waste water markets, and site development. Steed joined HUNT in 1999, and advanced both in leading the municipal work and corporate leadership, became an owner in 2008, and was added to the board of directors in 2014. Hunt Engineers, Architects, Land Surveyors & Landscape Architect, DPC (dba HUNT) has offices in Horseheads, Rochester, and Syracuse NY, as well as Towanda PA. There are currently 12 licensed professionals, our Director of Finance, and our Director of Technology as stockholders. Celebrating over 45 years in business, our full-service firm specializes in consulting and design for the following clients: educational, institutional, and private sector facilities (architecture and building systems, interior design, campus amenities, and athletic fields); municipal infrastructure (water and wastewater systems, storm water management); state and county transportation facilities; and technology consulting and design.